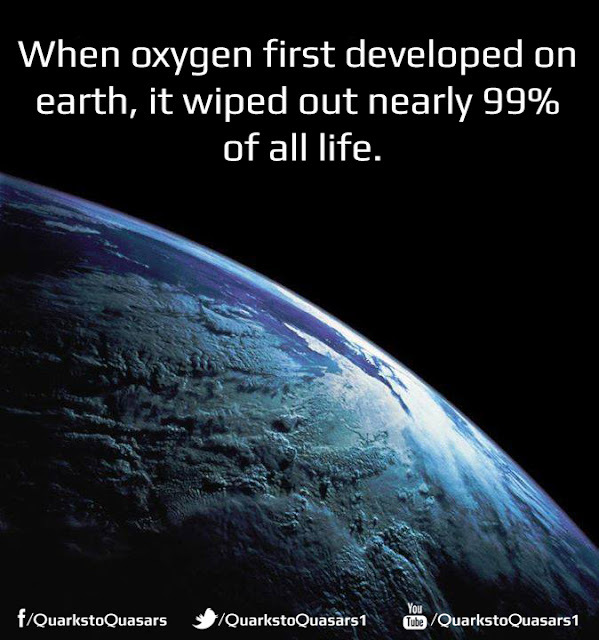 When oxygen first developed on earth, it wiped out nearly 99% of all life….. Yup this is true (according to our current knowledge and proof). This is known as “The Great Oxygenation Event (GOE)”- this is also known as Oxygen Catastrophe, Oxygen Crisis, Oxygen Holocaust, Oxygen Revolution, or Great Oxidation. According to Geological, isotopic, and chemical indication this major environmental change occurred around 2.3 billion years ago. Cyanobacteria, which appeared on Earth some 200 million years before the The Great Oxygenation Event, initiated generating oxygen by photosynthesis. Before the GOE, any free oxygen they created was chemically seized by dissolved iron or organic matter. The GOE was the certain point when these oxygen basins turn out to be saturated and could not capture all of the oxygen that was formed by cyanobacterial photosynthesis. 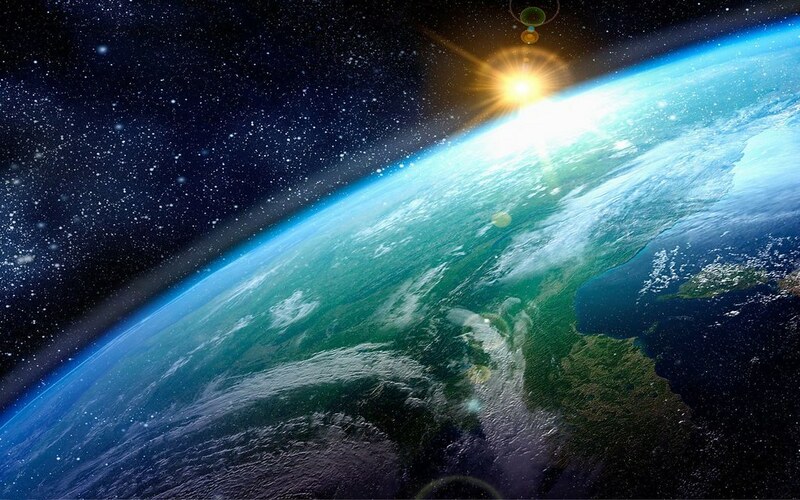 After the The Great Oxygenation Event, the additional free oxygen started to gather in the very atmosphere. 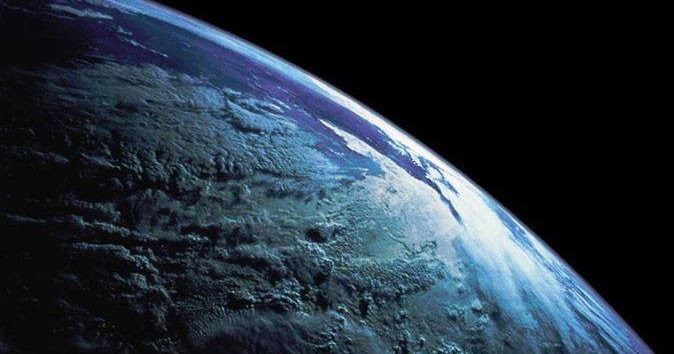 Free oxygen is actually poisonous to obligate the anaerobic creatures, and the growing concentrations may eventually have wiped out maximum of the Earth's anaerobic inhabitants at the time. Cyanobacteria were thus accountable for one of the most important extinction events in Earth's history.